Anybody who believes the ultra cool Manuel Pellegrini maybe a soft touch ha clearly got completely the wrong idea of the man. Such is the dignity of the guy it seems impossible that he can give it straight if he needs to but that is most certainly not the case. 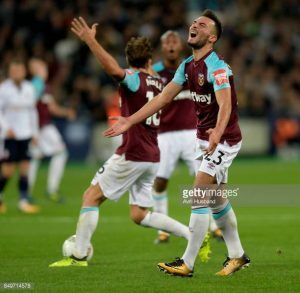 He had many decisions to make about the squad of players he inherited but just as was the case with Reece Oxford later, he has had no problem in giving it absolutely straight to Sead Haksabanovich whom he had no hesitation in sending out of loan to Spain. So come the end of the season when tough decisions have to be made Andy Carroll can expect to lran in very straightforward manner what await him as he faces end of contract at the club. Speaking to Fotboll Direkt, Haksabanovic explained what the West Ham manager told him declaring that he’s said: “You’ve already been on the bench and played U23 matches here. Now back on loan in Sweden after a poor spell at Malaga but it’s crystal clear that the boss takes no prisoners which will be very much in the minds of other borderline and beyond squad members.